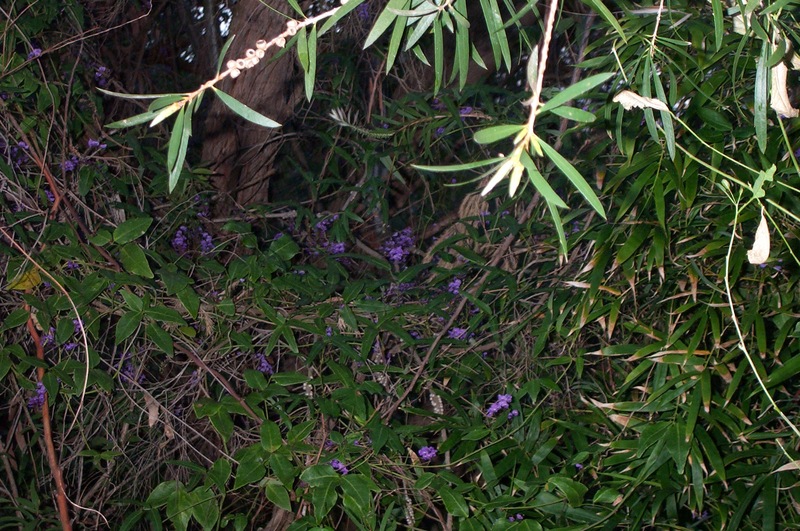 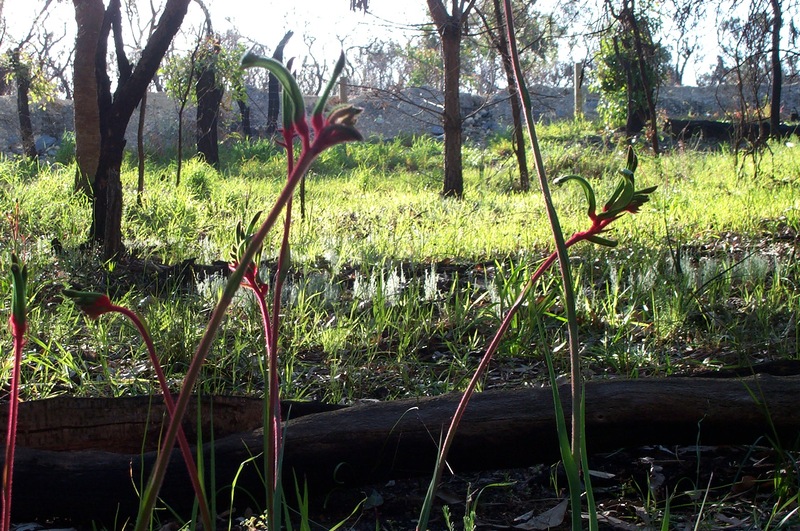 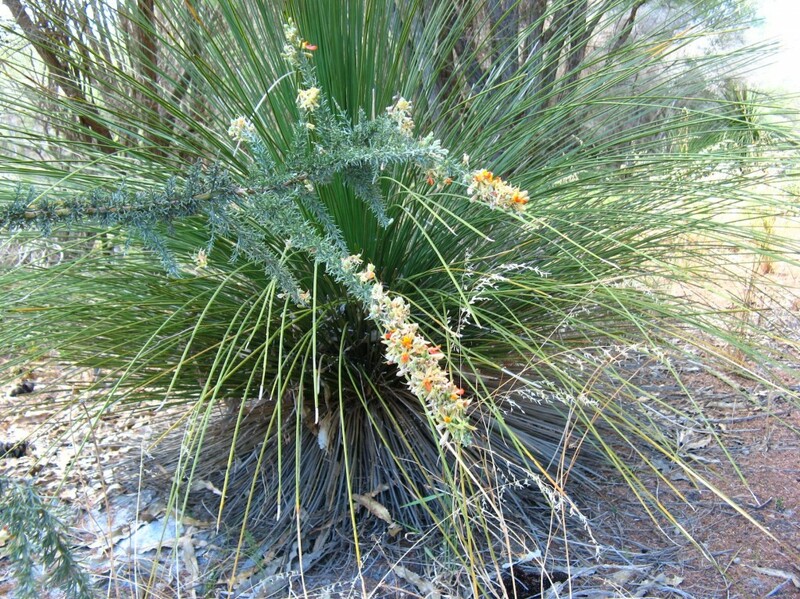 We have had some lovely native plants on the property, though nothing rare (as far as we know!!). 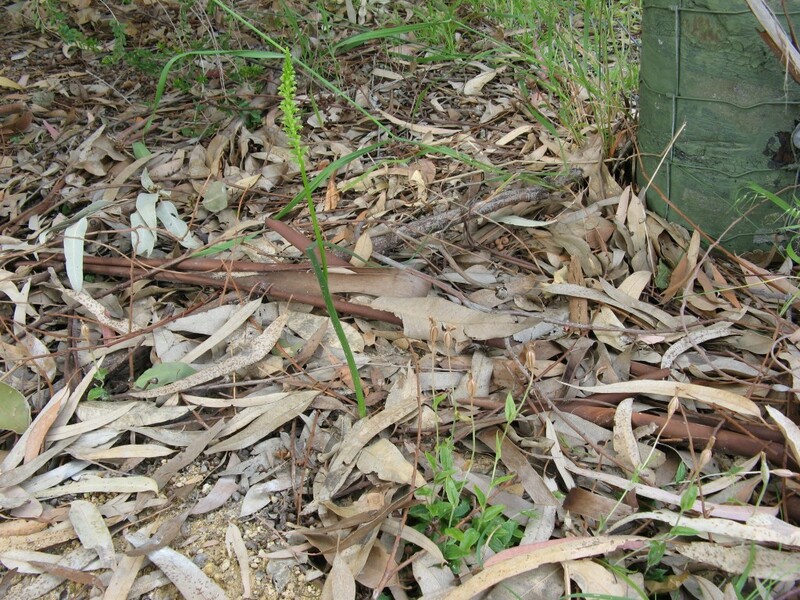 We see spider orchids, donkey orchids, cowslip orchids and pink fairy orchids. 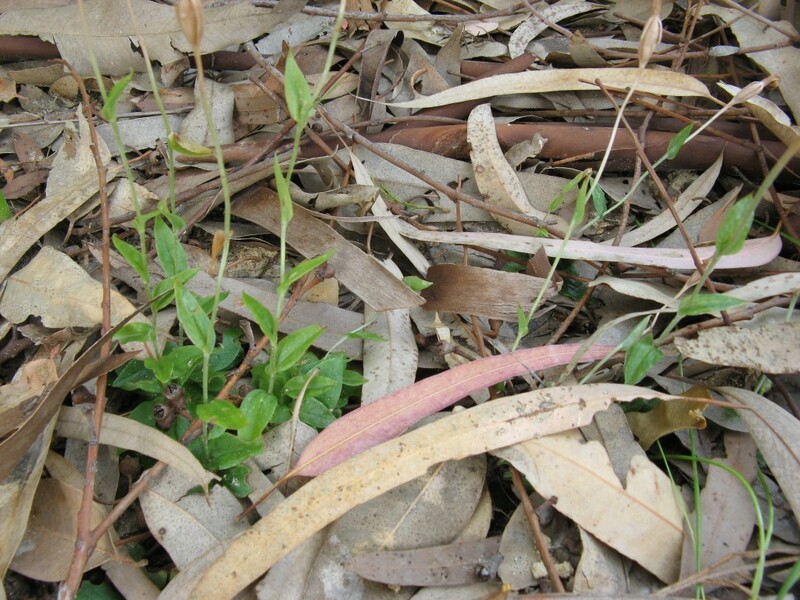 We have also recently noticed mignonette and shell orchids (see photos below). 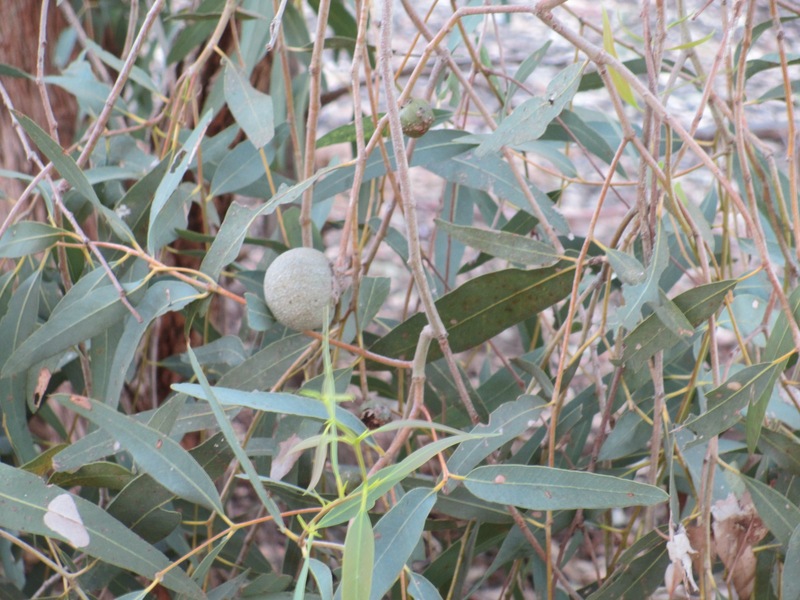 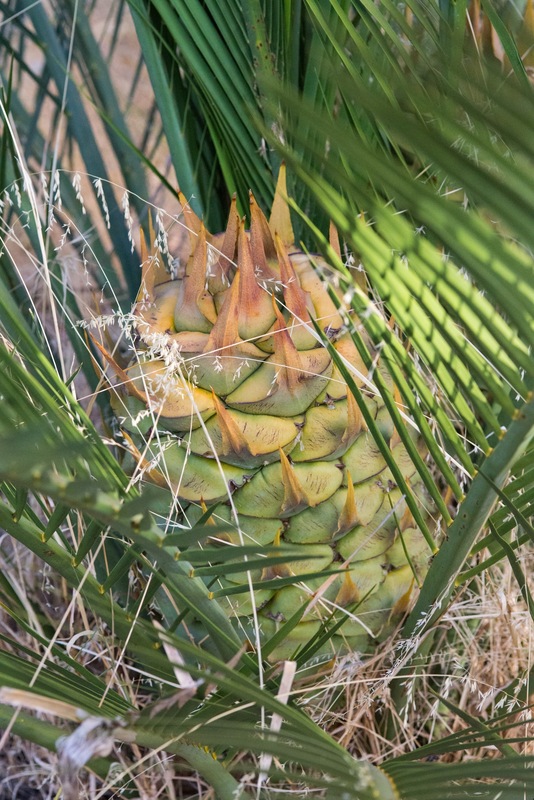 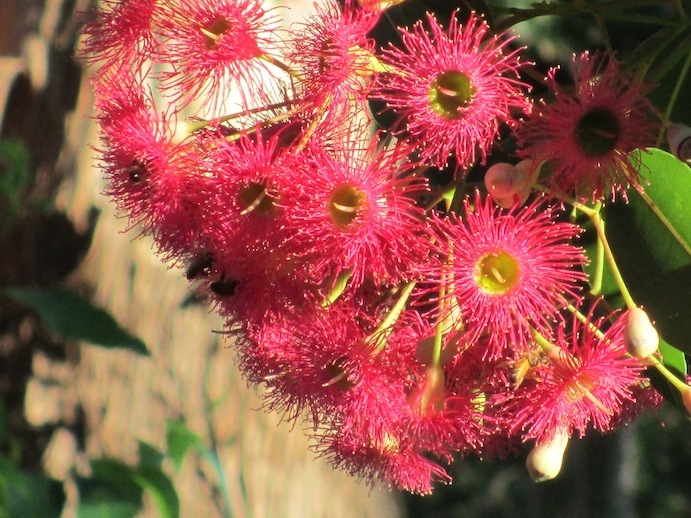 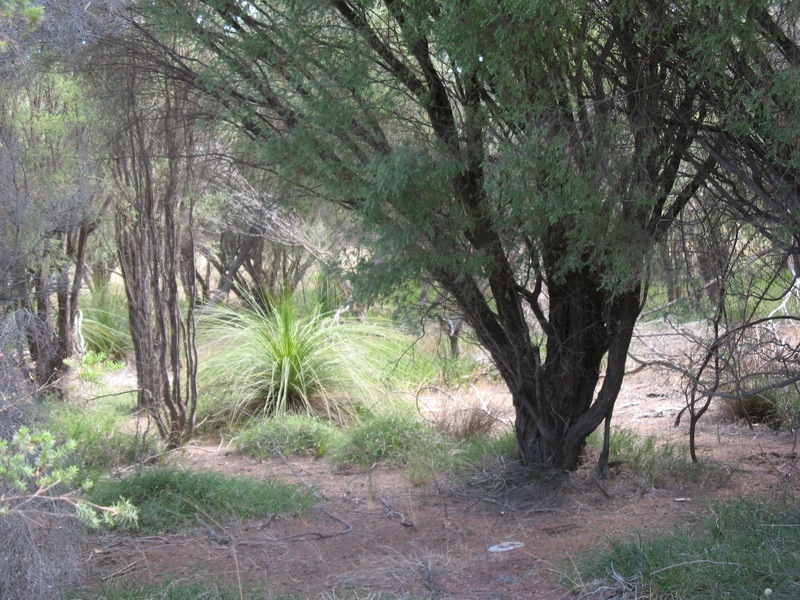 We have lots of banksia, sheoak and melaleucas, as well as zamia palms and grass trees. 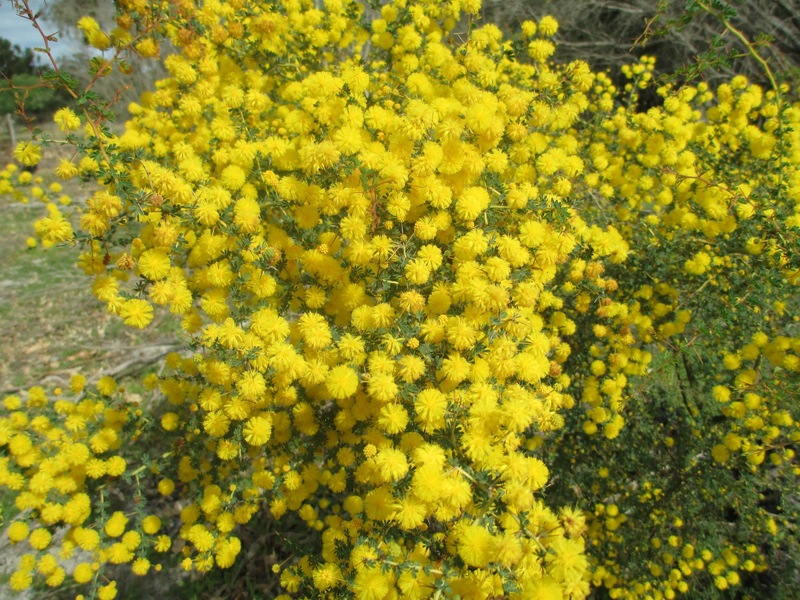 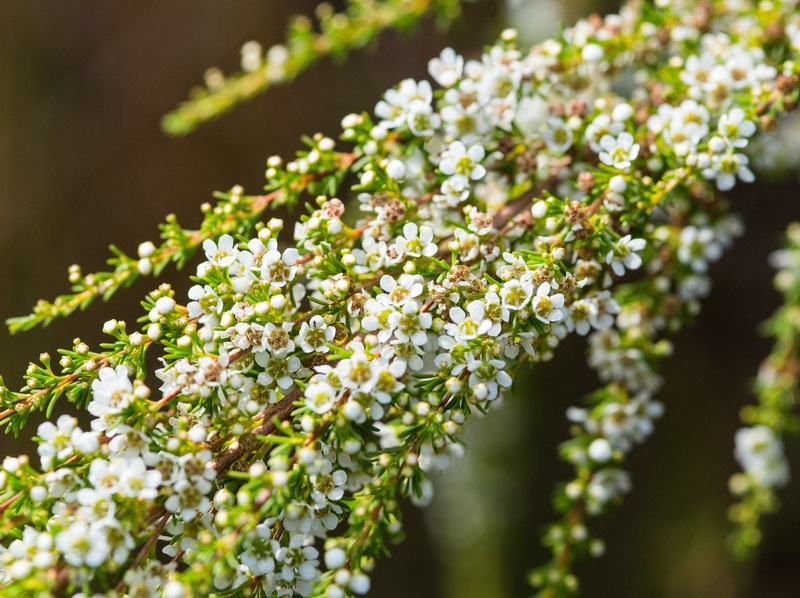 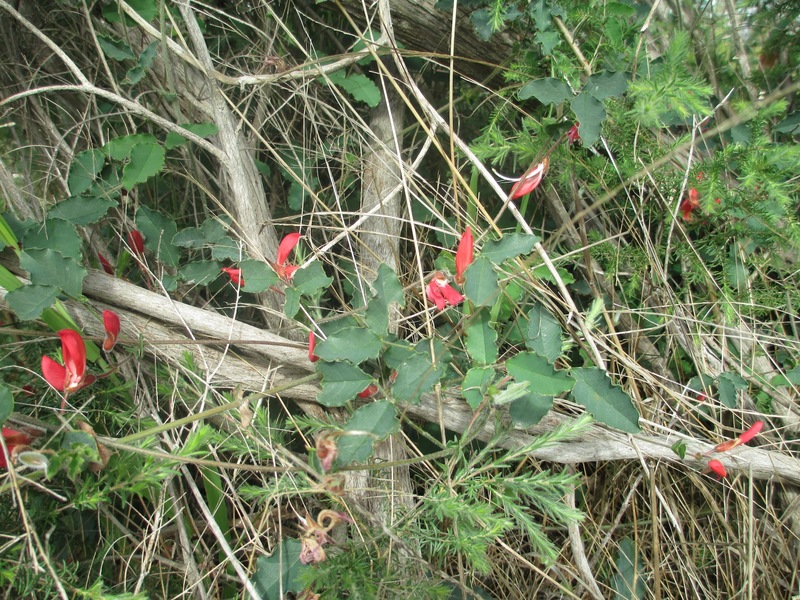 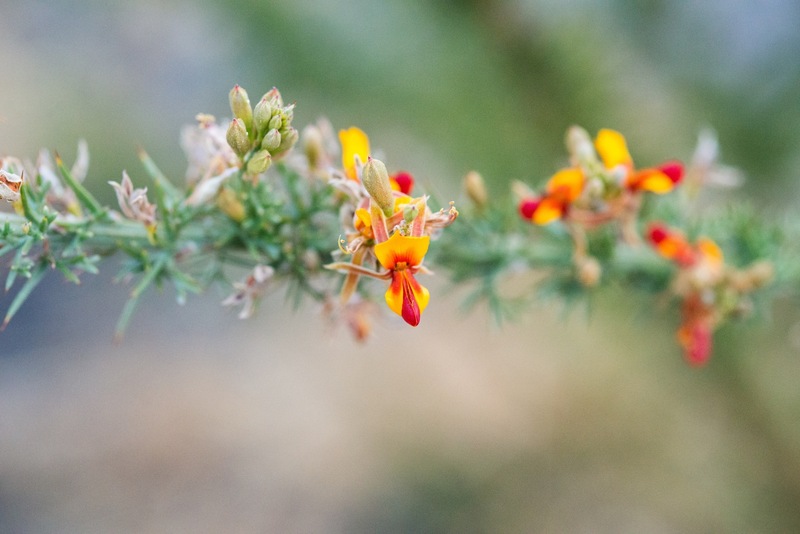 There are wattles, prickly moses, purple flags, kennedia, egg and bacon bush, myrtle, woolly bush, kunzea (spearwood) and holly-leafed banksia. 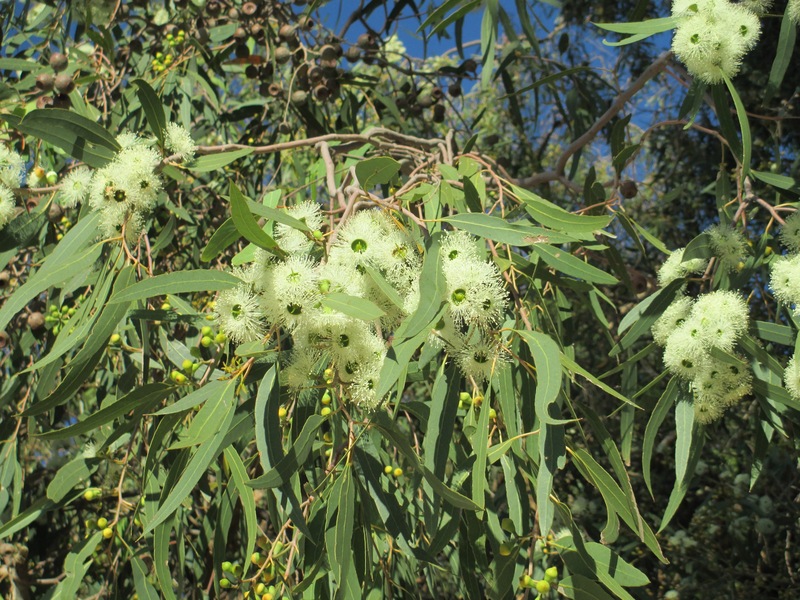 We also have some eucalypts and grasses! 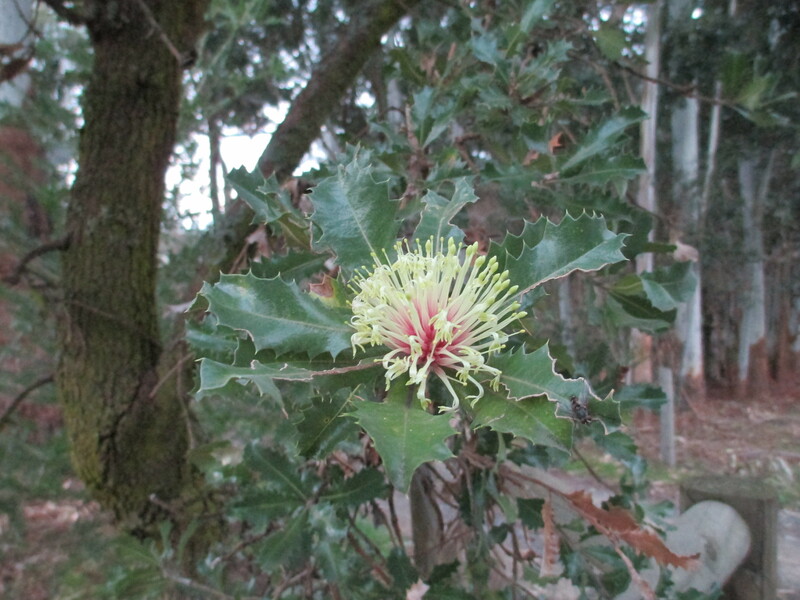 Here are some photos of the native plants we have here on McCarthy Park. 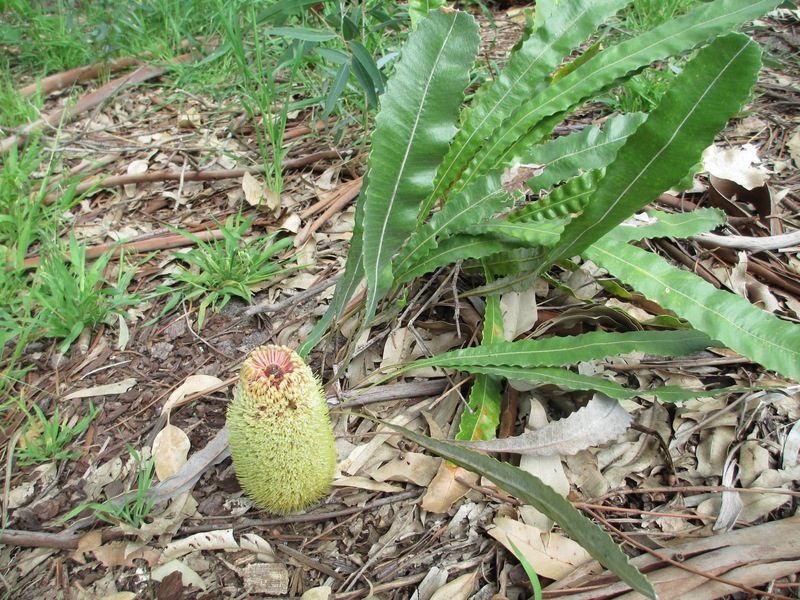 Some type of Snail or Shell orchid? 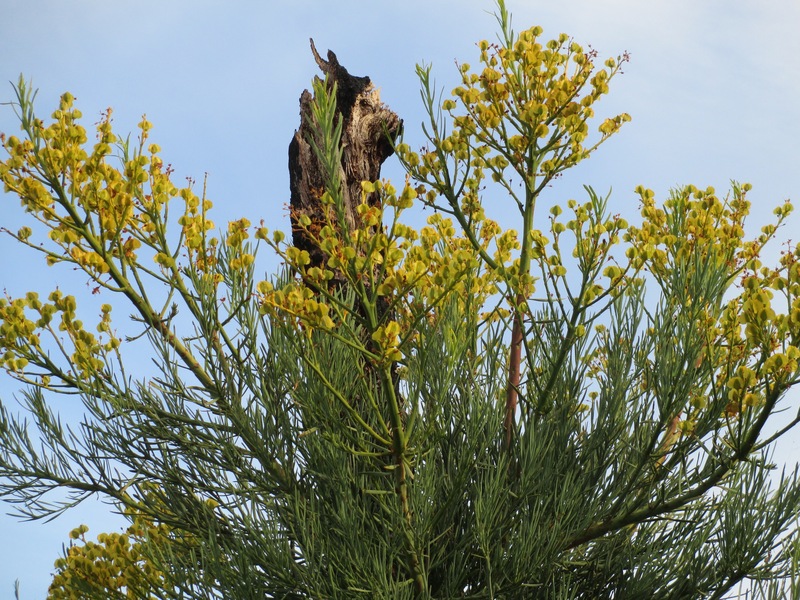 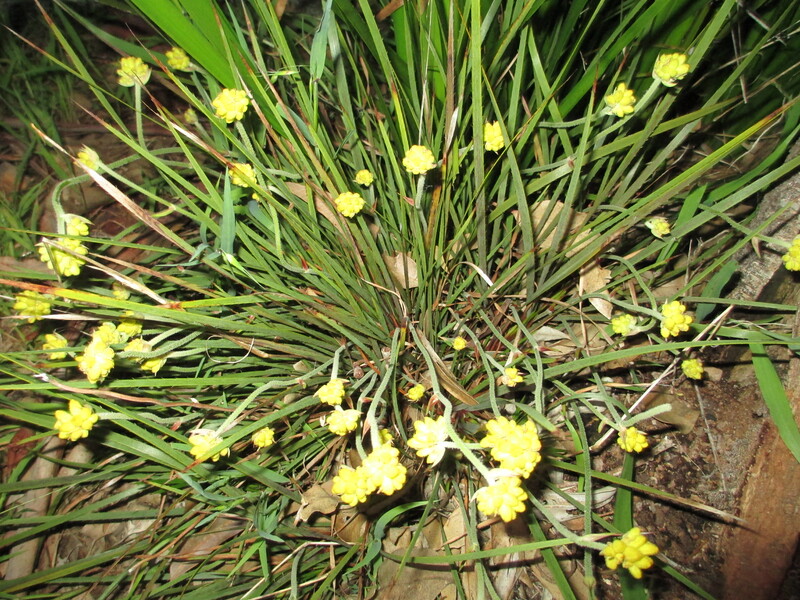 Probably E. patens flowers….but there is debate!